In my experience, this phrase-this claim of 24/7 harassment- appears in some 75% of all the blogs I have read. The reader should note that all of my estimates are ‘shoestring’ estimates, meaning that my data is an opinion, based in intensive research-not yet collated and verified. More often than not, the 24/7 claim appears in blogs that attempt to discredit or mock TI’s. However, because OGS is in part an influence operation with features of mind control, it also appears that many TI’s adopt the language of those who stalk them. This is common in Stockholm Syndrome as we see with the Beatrice Six, but also in operand conditioning and other nefarious victim/torturer scenarios as well. And, this is common in torture and blackmail situations where victims attempt to side with their torturer. It famously has been called “Stockholm syndrome,“in the extreme case, and in OGS, we see that it is frequently referred to as “NTT” or “no touch torture”in most online blogs and video’s. The phrase “24/7” is itself a relic of street culture, and has it’s origins in gang or prison environments too, such as “24/7 lockdown” and so on. But what is important to note is this: in classic mental conditioning, aka behavioral experiments, as well as social engineering, and trauma based mind control, it really doesn’t take much to make a target feel as though they are under constant observation. All it takes is one, well planned event, and then, reminders of the event placed here and there, much like the kinds that are described on TI blogs and video’s. No Touch Torture (NTT) is also officially part of the CIA’s torture protocols, and because we know that there is virtually no window between intelligence agents and the public these days, and that 17 intelligence agencies are involved in culling through the NSA’s illegally entrapped data of all Americans, it is not hard to imagine that these things take place. But in the cases we have evidence, it is clear that there is a component of NTT in effect. Then, if you add Fusion Center spying that can put a squad car in front of someones house within minutes of them logging on to a computer, and some redirection when they are online, and the ‘symptoms’ are no longer imaginary or schizophreniform, but instead are descriptions of the disease itself. And, the disease is social engineering that employs 24/7 surveillance and monitoring of a person via ther cell phone, computers, and programs like the CIA’s Laser, which is used in every day policing. These programs were put in place quietly over a decade and a half, and few knew about them, or what they do. But we know now: they monitor us in real time. 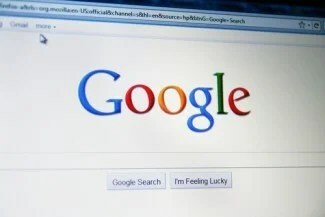 A former employee with a government contractor claims the government began a campaign of harassment against him because of Google’s autocomplete feature. Jeffrey Kantor says in a federal lawsuit (PDF) that he intended to search for “How do I build a radio-controlled airplane?” in October 2009 because he was thinking of making the toy for his son’s birthday. After he typed “How do I build a,” Google completed the search with the word “bomb,” and Kantor inadvertently hit enter. Courthouse News Service has the story. The suit names several government officials as defendants, including Attorney General Eric Holder. Then there is the complaint (symptom) where your home is entered and victim suspects they are being filmed all the time. These two incidents can provoke different levels of paranoia, distrust, fear, and other emotions that indicate trauma. But in OGS, these events are repeated over years, and often escalated to absurd points over time (Bob Deis, the Krlich’s of Ohio) so much so that even beginning to describe these experiences, compounded by time, makes one sound crazy simply because of duration.Therapists and lawyers should note that the “onset” of the “symptoms” can be correlated to real life events, rather than as organic brain disease. For the criminal defense attorney, the psychologist, or the therapist, it is crucial to view the patient/TI claimant/ actual victim through this lens of TBMC, and its effects over time. And ask yourself as a ‘rational’ or ‘reasonable’ person: How much of your personal information would you be able to hear repeated back to you before you exhibit signs of paranoia? How many small camera’s left behind in your home can you tolerate? It only takes one for most people before they are spooked-but for TI’s it is often years of these occult activities, that are practiced in the ‘community policing’ schema’s across the western world. And, both incidents share features of known instances of gang stalking: Kantor is Jewish in a highly Christian part of America, and Tafara is a family health practitioner, and many abortion doctors as well as alternative medicine clinics are prime targets of documented group and gang stalking.